An impressive sports watch from Garmin that is only let down by its price. Casual users should look elsewhere. Be it when you're heading out to the mountains to hike or when you're doing laps with your bicycle, this powerful yet elegant smartwatch will be the ideal fitness trainer for you.Bold Design.Exo Antenna.Chroma Display.Wireless Connectivity.Connect IQ App.Activity Tracking.Stronglink Metal Band.Water Rating : 100m. The Garmin Fenix 3 Activity Tracker was added to the Fitness Activity Trackers category in June 2016. 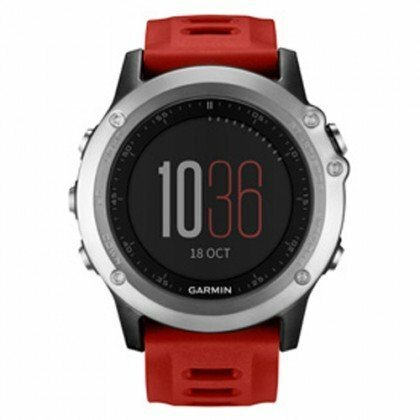 The lowest price GetPrice has found for the Garmin Fenix 3 Activity Tracker in Australia is $499.00 from Sports Watches Australia. Other merchants who stock it are Sports Watches Australia, Wiggle, Amazon AU, First Endurance.